Chia pudding is my very favorite thing to do with chia seeds. 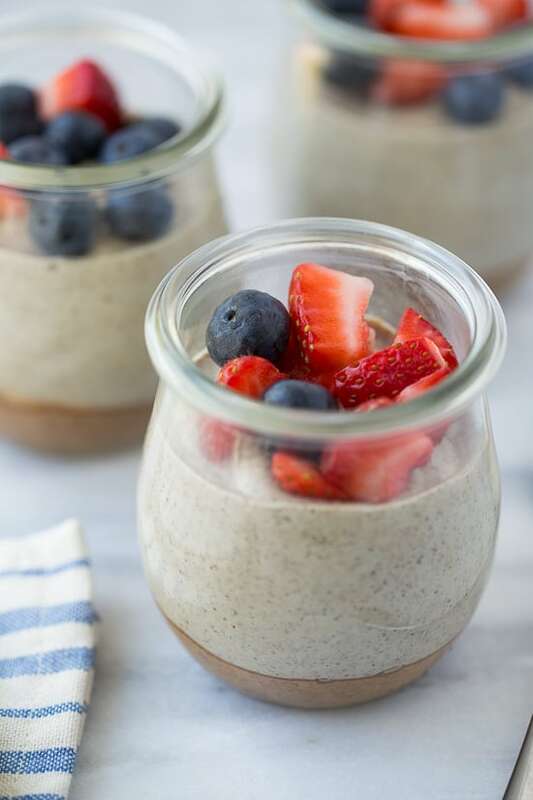 But not just any chia pudding… Like this Banana Chia Seed Breakfast Custard and this Chocolate Chia Seed Custard I only like chia pudding when the chia seeds are ground up in the blender to be nice and smooth. 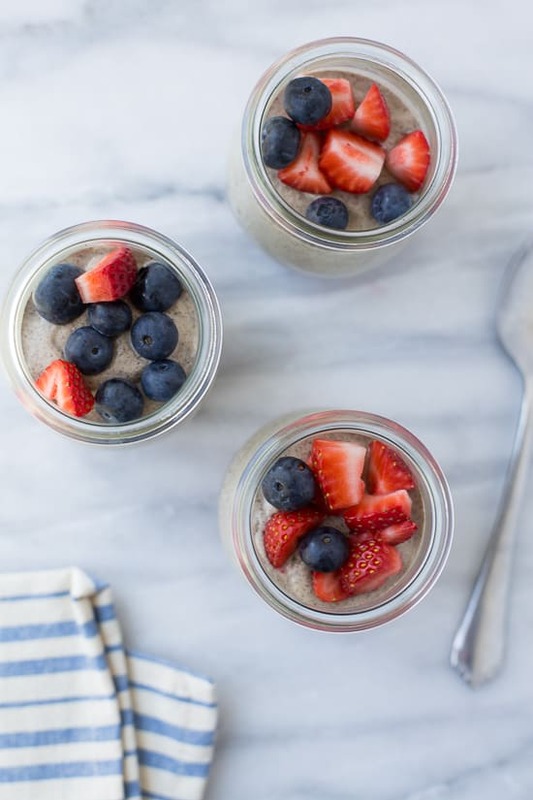 This chia pudding is full of nutrient-dense super foods, healthy fats, and antioxdants to give you a great start in the morning! It will leave you full and satisfied for hours. It also makes a great afternoon pick-me-up or treat at the end of the day. I really can’t think of a time it isn’t delicious! This Creamy Vanilla Chia Pudding gets its creaminess from cashews that you blend up with the chia seeds. I am a little obsessed with making cashew cream (1 cup cashew +1 cup water + blend on high for 2 minutes = cashew cream!) to top oatmeal and put in tea. It is perfect in this chia pudding. Add a dollop of almond butter on the bottom of the jar (I use these weck jars) and lots of fresh berries on top and you’ll be in breakfast heaven. It might seem like a strange idea, but chia pudding is actually one of my favorite things to bring to new moms. I usually make a batch and pour it into plastic cups then pack the fruit for topping in a separate (disposable) container. Because no mom wants to worry about having to return dishes with the craziness of a newborn! In the early months of nursing I would get so hungry in the middle of the night. Chia pudding is great for nursing moms and will satisfy any sweet tooth. It is also a great treat for babies. My baby is 14 months now and loves this pudding. And I feel good about him eating it because it is full of goodness! Place the cashews and dates in a bowl and cover with boiling water to soften. 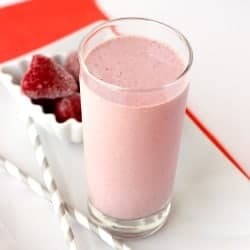 Place the 2 cups of water and chia seeds in the blender, stir to combine and let sit to form a gel before blending. Let both mixtures sit for 5-10 minutes. Pour off the water from the cashews/dates and add to the blender with the chia seed mixture. 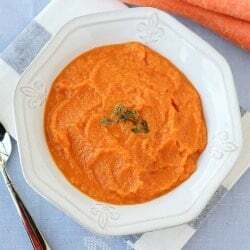 Add the remaining ingredients and blend on high until completely smooth, about 2-3 minutes. Pour the chia pudding into the serving dishes. Cover and refrigerate overnight. Serve topped with fresh berries just before serving. Pudding will keep for up to 5 days. Enjoy! Fresh strawberries or raspberries really make this pudding in my opinion so pile them on high! This pudding will keep for up to 5 days and makes a great nutrient-dense breakfast on-the-go. 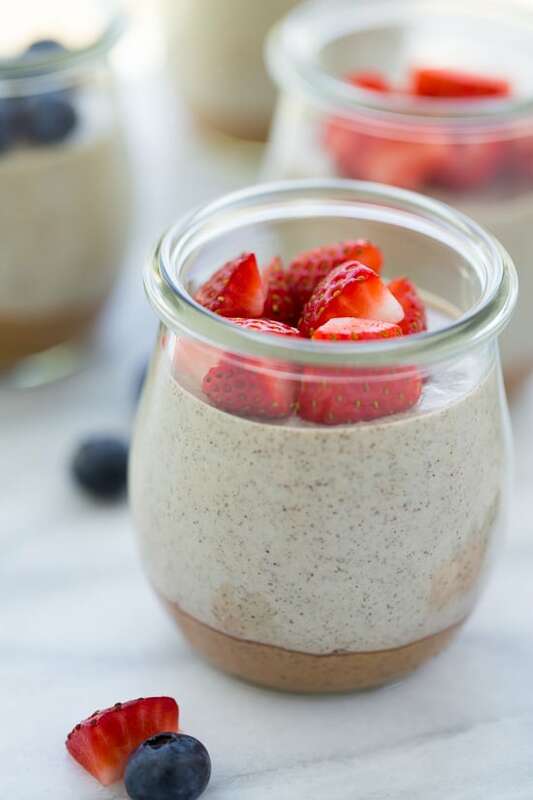 Delicious looking Creamy Vanilla Almond Butter Chia Pudding! Thanks a lot for it’s introduction to the masses. I have jotted down all the recipe.Hopefully try sometime…Thanks once again Erin. It is so delicious. It is on my favorites list from now on. Can I use another nut other than cashews in this custard? Hello Erin, Thanks for the lovely post. Actually from the very beginning of my childhood, I was addicted with any kind vanilla cream. That’s why I always search for something new with vanilla. And whenever I have seen your creamy vanilla almond butter chia pudding, I just can’t wait to taste this. It’s looking so delicious and wow. 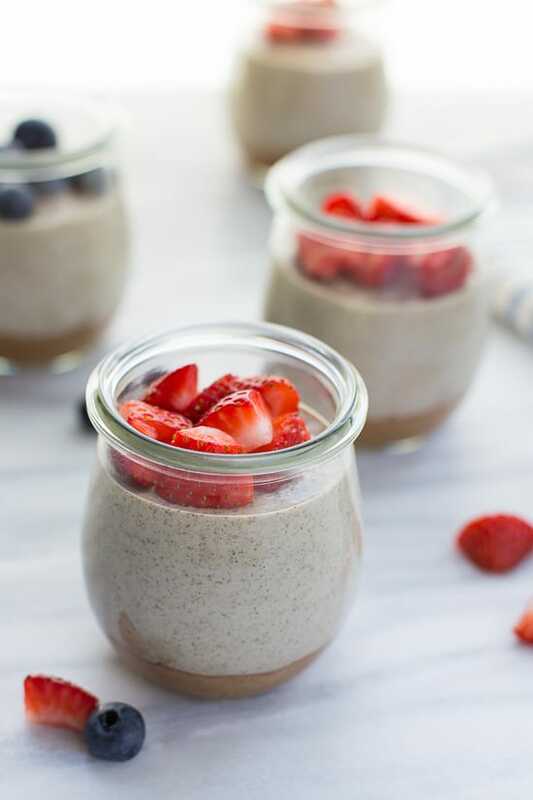 This Creamy Vanilla Chia Pudding. It is so delicious, I will make it on weekend for my familly. Thanks for you sharing. 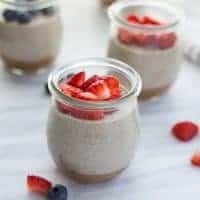 I am really like this Creamy Vanilla Chia Pudding, it’s so yummy and delicious. Thank you. Its look amazing and delicious definitely gonna try this, just love the way you described this recipe.